Ok, what came to mind? Now how about if I said “Santiago de Cuba?” Wait, where? But the point is what do we really know? As the US tourism gate opens slowly many of us have a chance of discovery before the media and masses tell the story we may receive. 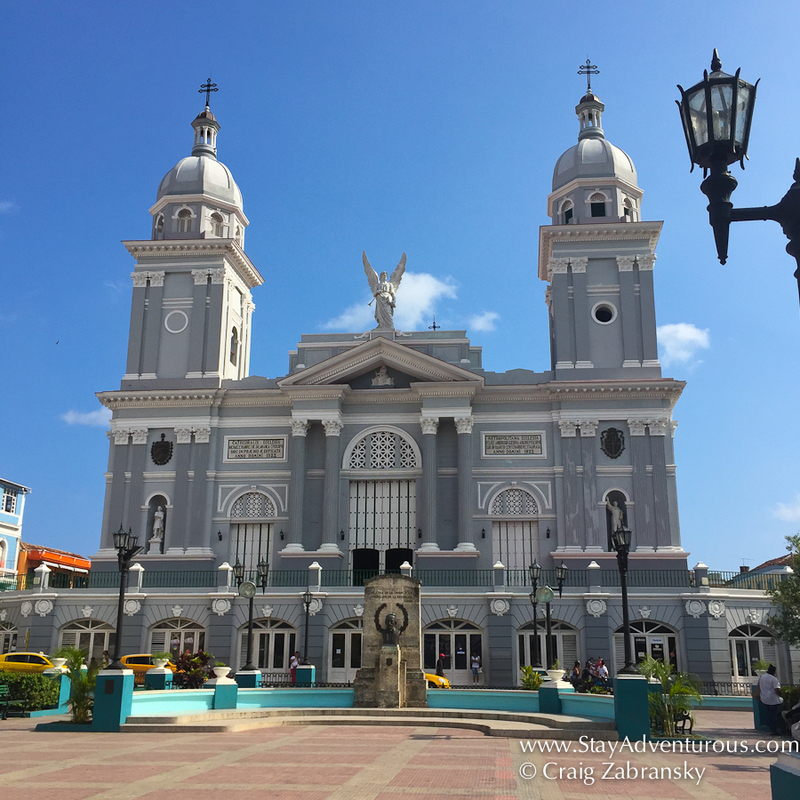 On my first journey to Cuba, a visit to the port city (and second largest) Santiago de Cuba, I selected the “self guided” tour option on my visa and set out on foot to traverse the city. Well, what did discover? When using USDs (dollars), besides the normal 3% transaction fee visitors pay a 10% fee even though the currency is pegged to the USD on a 1:1 ratio. So exchanging 100 USDs will get you 87 CUCs. 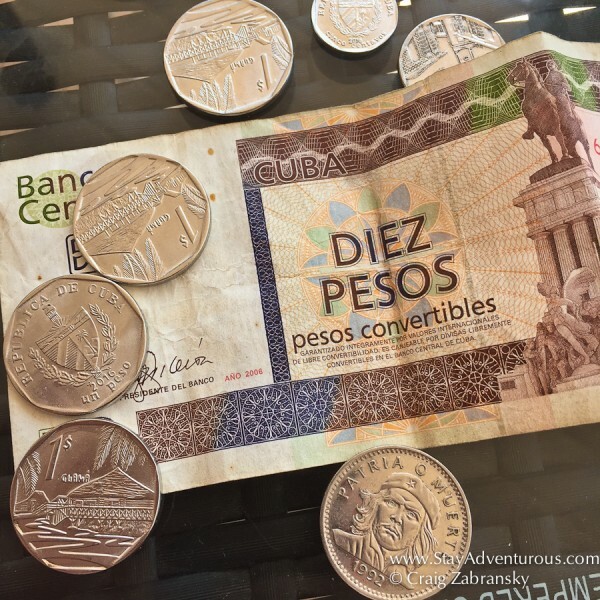 Also, it is important to understand in Cuba two currencies exist; one is essentially for tourists, the CUCs (Cuban Convertible Peso) and second is the local(‘s) CUPs (Cuban Peso). Apparently it is illegal for tourists to hold any CUPs. An easy way to know the difference is CUCs (the one you will use) is that the bills and coins will have monuments on them and the local pesos will have faces (of the famous). The local currency is about 25 CUPs (pesos) to 1 CUC. Travel Tip: If you have Euros, this may be a good place to convert them since the 10% fee is not on Euros. I am not sure I noticed any traffic lights in the city. 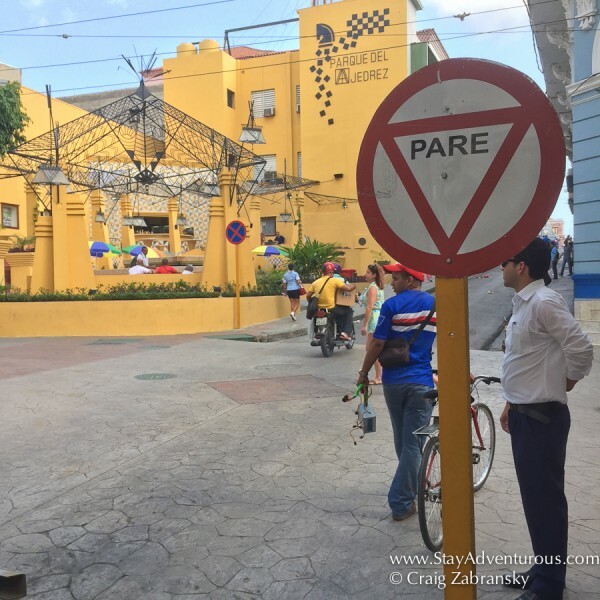 Plus, it took me until one of my last streets, a pedestrian only street, walking back to the cruise ship to actually notice a “Stop” (Pare) sign. So, definitely be careful and keep a look out since traffic can be chaos at some intersections. Visitors will see plenty of 1950s US made classic cars parked on side streets, driving on the road, and also have the opportunity to ride in one. You can make arrangements prior to arrival through tour companies on the web, or when in town, but make sure you ask “cuanta cuesta” (how much) before you do and be careful when its of the just for a tip (as they may never be happy with the price). Travel Tip: For those less interested in the adventure of a tour or a ride you can also just pop in for a photo opportunity. I was asked for 5 CUC for this photo but negotiated down to 2. Even if you don’t take an official tour with local tour operators (you can book them before you go) or a cruise excursion you will likely “hire” a guide. Someone will eventually find you stick to you like a magnet. It happened to me and eventually I decided to embrace the moment. And don’t worry I never felt threatened, but rather felt in good hands. 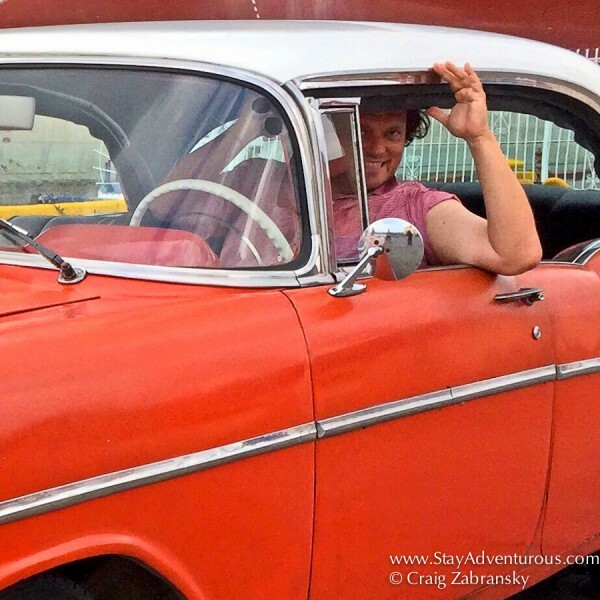 Travel Tip: Please know on my visa (and US citizens need a visa) I selected the “self guided” option and because of it, the US government (not Cuba) required me to document my activities in a journal while in Cuba. Visitors are instructed to keep this for 5 years. If you take an official tour, this is not necessary. Yes, my “guide” was focusing on it, but I didn’t expect to find too much since US relations were not positive for many years, but you will. I was surprised how even people selling me postcards on the pier spoke a near perfect English. But it is not widespread, some people will not speak any English, and honestly for those that do, they are most likely trying to sell you something. 6. Is there an Opportunity to Purchase Souvenirs? Don’t expect massive stalls of trinkets and items for sale here. I noticed a limited supply and limited service and certainly no hard sell in the stores from employees. I suppose they get paid regardless of the outcome and frankly it shows. I found an Art area, but the sellers weren’t the artists and also, apparently there may or may not be a 6 CUC art tax when leaving port? 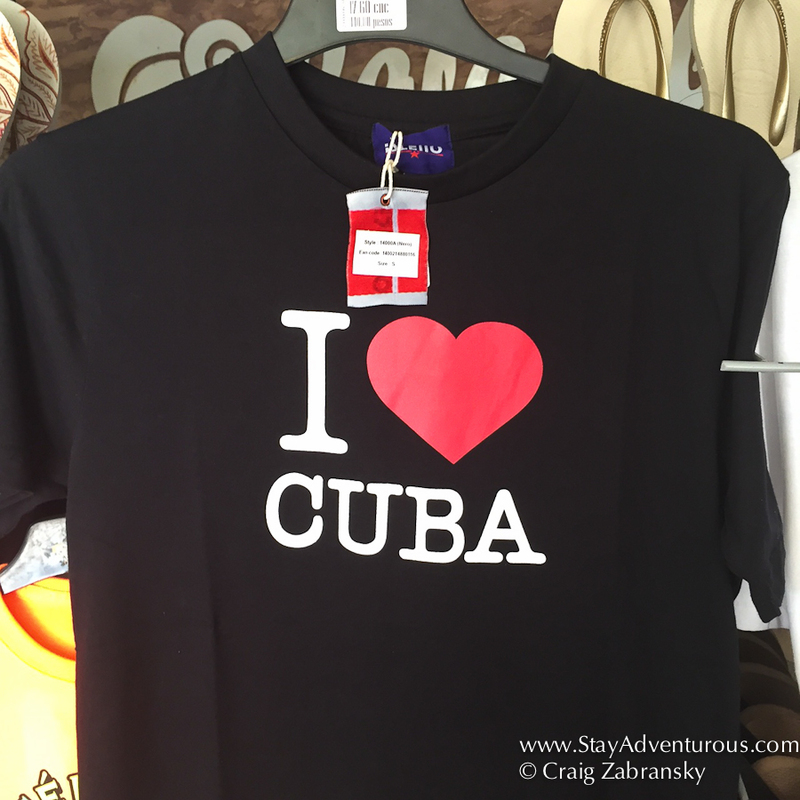 For a T-shirt, saying “I Love Cuba” expect to pay 17-18 CUC. Travel Tip: You’ll find postcards sold with the stamps together. The vendor will also mail them for you. It cost .75 CUC per postcard and .85 CUC for each stamp to the US. Was worth it? Not sure yet, a month later I am still waiting to receive my mail, but it will be a cool souvenir when it shows up. 7 Can I Purchase Rum and Cigars? 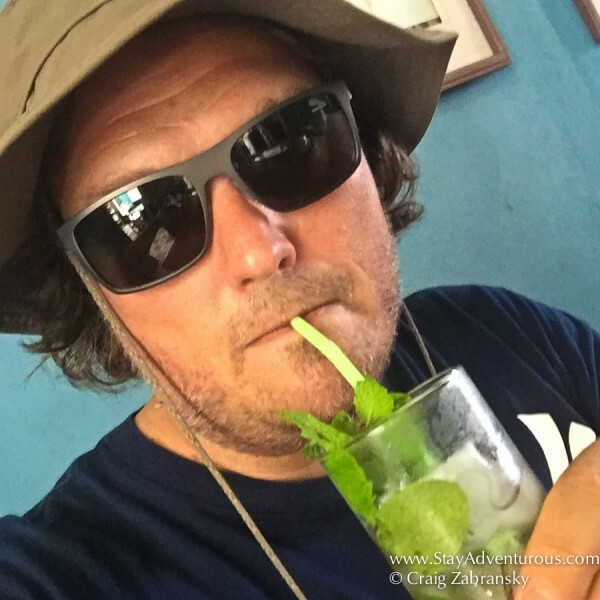 When walking the streets you’ll find many locals who have a friend or cousin who knows someone at the rum facility or the Cuban Cigar factories and they can give you a “deal.” Besides the guides, this was the only open black market items I noticed. People I spoke with believe the rum is refilled bottles (I can say I did notice one in my “shopping”) and most believe the cigars are the swept up scraps from the floor at the factory or even banana peels. You’ll easily find all the Cuban cigar names you know, but with the rum, look for Ron Santiago de Cuba (the local rum). This very local Cuban rum is apparently made in the original Bacardi factory (Bacardi left for Puerto Rico after the revolution in 1959) although no tours are permitted. The amber alcohol is apparently of similar quality to the commercial giant and many believe it tastes better than the popular Havana Club. Personally, I am not sure; I’ll need more taste tests. So what do you do to buy Cigars and Rum? 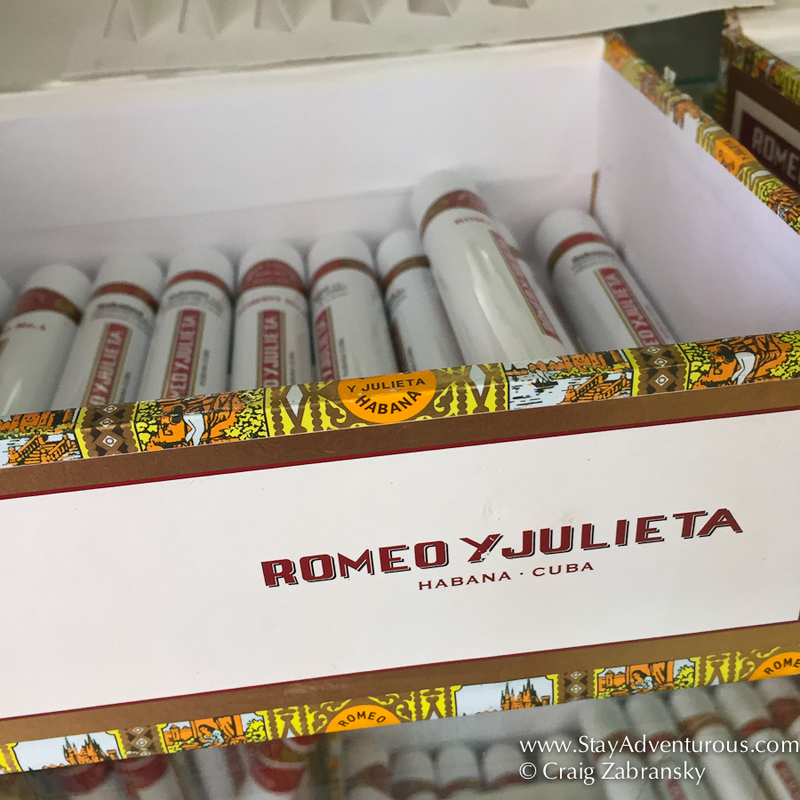 Travel Tip: For cigars and run in Santiago go to the official Government licensed stores. Ask your tour guide or even the main hotel in the town center where to go. In tourist areas you’ll see them with a sticker in the window to confirm it. There is even one such store at a UNESCO site in the city. 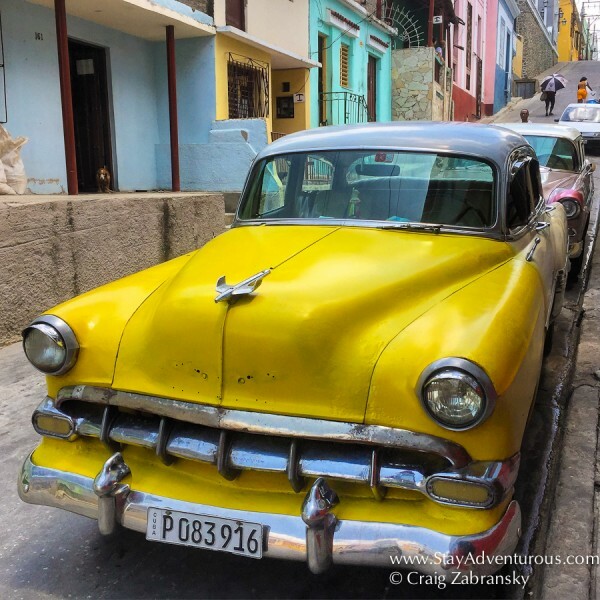 Prices may not be the “steal” compared to the street rate and are non-negotiable, but they are certified Cuban products. How much can I bring back to the states? Travel Tip: I was under the impression you can take back 100 cigars and a few bottles of rum, but it seems the restrictions have been updated and are now just listed as personal consumption (this includes personal gifts) See section 31 in the Dept. of Treasury’s update on FAQ on Cuba (Jan 2017). Popular tourist attractions exist in Santiago. Visitors will find an UNESCO site the San Pedro de la Roca del Morro Castle, the famous San Juan Hill where US forces under Teddy Roosevelt and the Rough Riders helped win a decisive battle in the Spanish-(Cuban)-American war, and also the famous Santa Ifigenia Cemetery, the final resting place for many Cuban nationals including Fidel Castro. All are available for a quick day trip from the downtown. Remember tourism existed here before the US-Cuba gates started to open. And even in the city streets a “gringo trail” has been developed. I noticed other tourists and their “guides” learning about Ron, Son (the birthplace of a local dance) and the Revolution by stopping at all the same points. 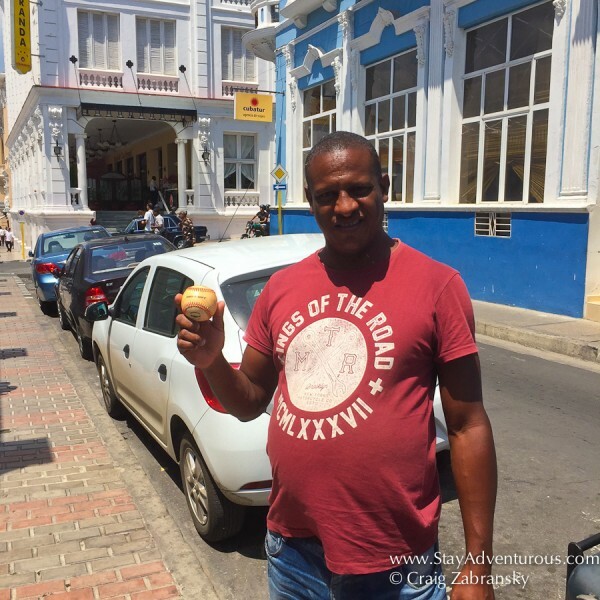 My guide was showing me the Cuban life, but it was why we were taking a walking tour of the city along in between all the other tourists and their guides. My first stop was a local coffee shop where I soaked up the scene in a locals place (my guide paid for my coffee in CUPs) and he gave me a double. For lunch, the seafood was well prepared and delicious actually, but I didn’t notice too many restaurants in the city or a vibrant dining scene. It seems local people socialize over coffee, in the park squares and plazas or inside? I never noticed an open restaurant for locals except an ice cream place in the afternoon filled with families. But, again, I didn’t get to stay for dinnertime or spend the night. 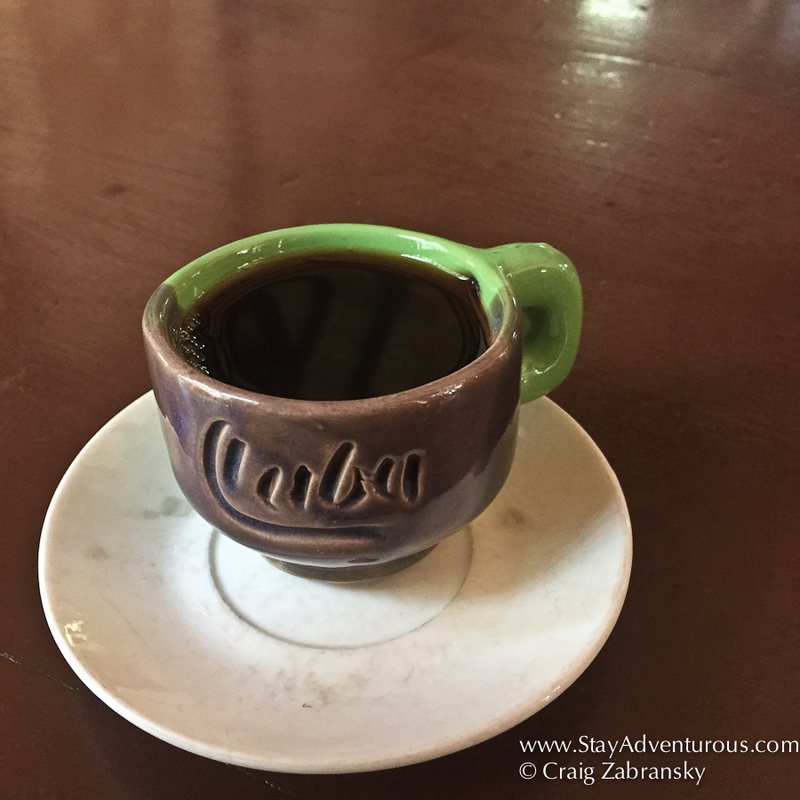 Travel Tip: Cuban Coffee, the roasted beans are also available in the official licensed stores. The servers knows it takes time so she checks her phone. Probably the best purchase I made in Santiago was a Mojito. And I decided to drink a few. But honestly, nowhere else did I see anything prepared or cared for with as much love. Each bartender took their time and prepared the drink for specifically me. Plus, it wasn’t your typical mint in the cocktail, it was locally called “hierbabuena,” and dare I say it was muy buena. Travel Tip: A great place to get a mojito is atop the Hotel Casa Granda, with its early 1900 architecture and rooftop views over Parque Cespedes (the main plaza) and the Cathedral. The first cocktail is 3 CUC (cover charge) and then it is 2.50 per in case you want a second of third. Well, I definitely had some thoughts on Cuba, many of us do, and some materialized. But I also knew there would be an unknown and that excited me. Now after a brief time in Santiago de Cuba, I can only confirm my sample size of just a few hour an is way to small with more data points are needed. 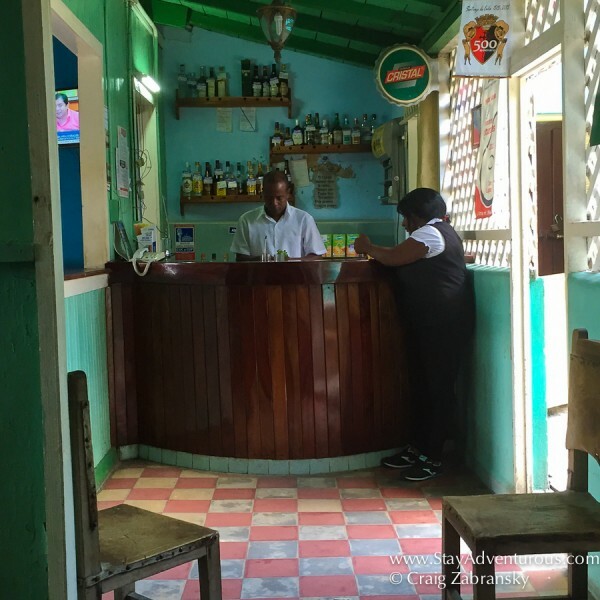 I listed some first impressions, a few travel tips to know, but my biggest takeaway maybe that Santiago is far from a typical paradise, but a destination like this offers visitors unfamiliar with the country and its story to see a part of Cuba and as Leo told me learn the Cuban life.